When most people say tomato salad, they immediately think of a caprese salad. Chock full of basil, fresh mozzarella and sliced tomatoes, it's on almost every restaurant menu from June to September when tomatoes come into season. Although this type of salad is delicious, there is another type that better showcases the natural beauty of tomatoes. The recipe below is so light and fresh, you won't miss the mozzarella at all. 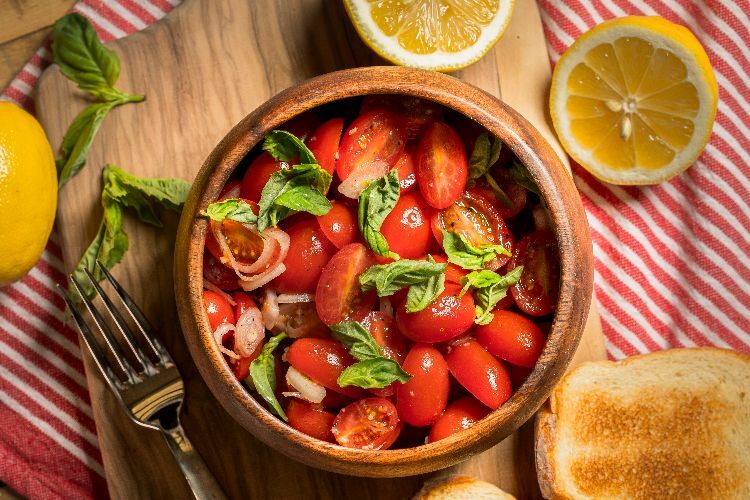 The key to this salad is letting the tomatoes marinate for a few minutes. Salt pulls out their natural juices, forming the dressing for the salad itself. Cherry tomatoes are a little bit sweeter, but you could slice a few heirloom tomatoes instead. 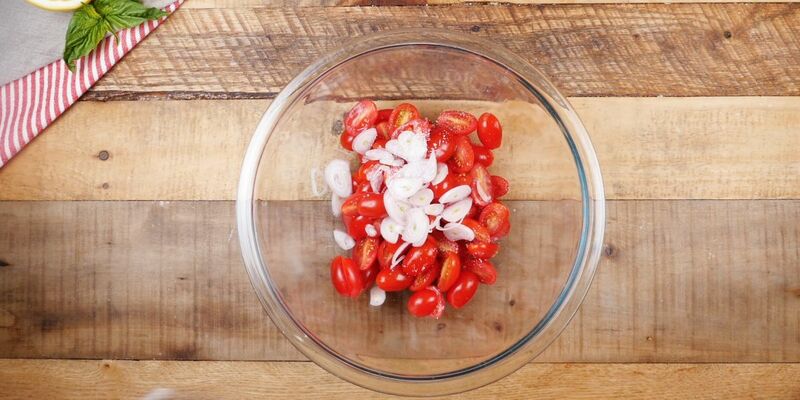 In a large bowl, combine the tomatoes and shallots with the salt. Set aside for 10 minutes to allow the tomatoes to marinate. In a small bowl, whisk together the olive oil, lemon juice and garlic. Pour the olive oil mixture over the tomatoes, tossing to coat. Garnish with the fresh basil and cracked black pepper. Cover and refrigerate if not serving immediately.